Daniel Rinaldi’s fifth exciting mystery case. 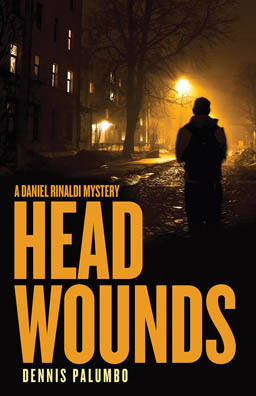 “With his exciting Head Wounds, author Dennis Palumbo has written a novel that is as relentlessly scary and involving for the reader as it is for his hero. A true thriller.” –– Thomas B. Sawyer, Emmy & Edgar nominated Head Writer/Showrunner of Murder, She Wrote, best-selling author of The Sixteenth Man. Psychologist and Pittsburgh Police consultant Daniel Rinaldi’s new patient, former Hollywood starlet Lisa Campbell, is kidnapped right outside his office. This draws him into a deadly cat-and-mouse game with a brilliant, lethal adversary. Complicating things is Lisa’s wealthy, influential family, whose members conceal dark, unsettling secrets of their own. PHANTOM LIMB, fourth in the series of thrillers that Publishers Weekly calls “riveting,” will keep readers guessing until the very last page. Order NOW to join Daniel Rinaldi–called by Kirkus Reviews “Jack Reacher with a psychology degree”–as he journeys into a labyrinth of deception and murder. You can order PHANTOM LIMB from your favorite independent bookstore, or from the publisher, Poisoned Pen Press. You can also order PHANTOM LIMB direct from Amazon. 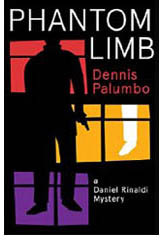 “Dennis Palumbo takes a brilliant premise and turns it into the kind of thriller most of us wish we could write. Thrills, surprises, and memorable characters. A terrific book.” –Timothy Hallinan, Edgar-nominated author of the Poke Rafferty and Junior Bender thrillers. 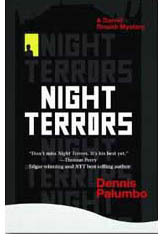 Friends, you can order NIGHT TERRORS now! If–like me–you want to support independent bookstores, here’s a link to stores in your area, click here: Independent Mystery Booksellers Association. 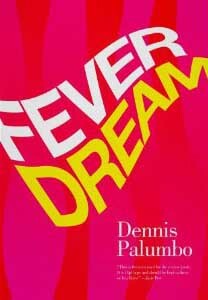 Click here to buy “Fever Dream” through Amazon. 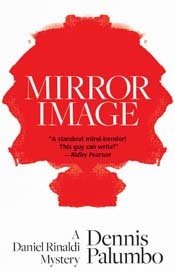 Click here to buy “Mirror Image”through Amazon. 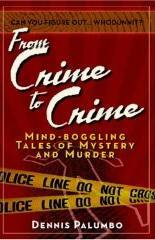 Click here to buy “From Crime To Crime” through Amazon. 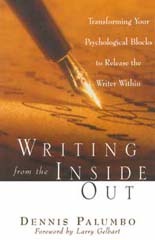 All of Dennis Palumbo’s books are currently available at your local bookstore, or through Amazon.